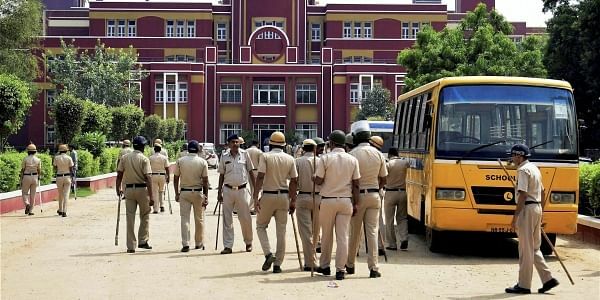 A civil court today reserved order on the bail plea of bus conductor Ashok Kumar, an accused in the murder of Ryan International School student Pradhuman Thakur, till tomorrow. GURGAON: A civil court today reserved order on the bail plea of bus conductor Ashok Kumar, an accused in the murder of Ryan International School student Pradhuman Thakur, till tomorrow. Additional Sessions Judge Rajni Yadav heard the counsel of the CBI as well as Kumar's lawyer Mohit Verma. "We have brought to the notice of the court that the CBI has no proof against Kumar. Therefore, we have appealed to the court to grant him bail," Verma said. Verma had filed the bail plea after the CBI had on November 8 arrested a Class 11 student of the school in connection with the killing. He said the CBI itself had claimed that the juvenile had confessed to his crime and the motive had also been established by the agency. Opposing the bail plea, the CBI counsel said the agency had not reached a stage in its probe where Kumar could declared innocent. "He is still one of suspects in the case," he said.